Mars loves machines. They'll do much better there than we will. Earth hates machines. The moisture, the caustic atmosphere, the mold and slime and bugs all attack and degrade machines. 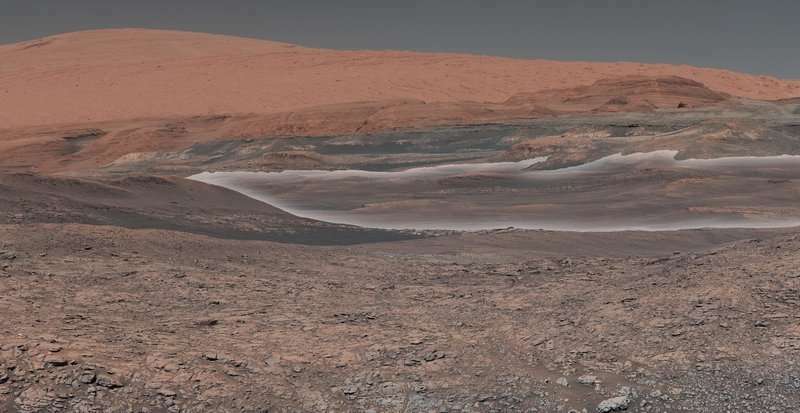 Why would we want to turn the surface of mars into another earth? Our machines will not allow it. What these devices need is 3D, high resolution imaging to allow controllers on Earth to make the very best decisions about which targets on Mars to investigate. "Mounted on the mast (the rover "neck and head"), these black-and-white cameras use visible light to gather panoramic, three-dimensional (3D) imagery. The navigation camera unit is a stereo pair of cameras, each with a 45-degree field of view that supports ground navigation planning by scientists and engineers. They work in cooperation with the hazard avoidance cameras by providing a complementary view of the terrain." -as well as 13 other cameras.